The lichee black tea, also know as lychee black tea, is from Guangodong Province in China. It is treated with the juice from the lichee fruit, which yields a wonderful and sweet fragrance. Lichee black tea can also be enjoyed chilled. Good value, great Lichee flavor! 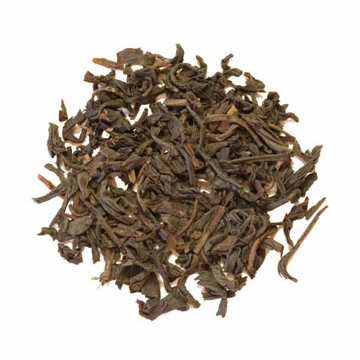 An excellent black tea with great Lichee flavor! After trying Lichee fruit I thought I would give this tea a try and I was not disappointed. It has become our favorite morning tea. Definitely give it a try. It reminds me of earl grey tea. Tastes good with milk and sugar. Great Black Tea with a smooth fruity flavor. Strong but not over powering. Will definatley keep this one on the re-order list. A friend introduced me to lichee tea in the 90s and I've loved it ever since -- but I've discovered it's hard to find in tea shops in the Rockies. Delighted with my purchase on line -- which inspired me to order more for holiday gifts! Floral aroma and smooth tasty tea. Blends well with Honeybush. May be a good tea, but not for me. I'm not sure how this tea is flavored, but in my opinion it tastes a bit strange... almost fake. I could be completely wrong, as this is the first Lichee-flavored tea I have ever tried. All I can tell you is that I don't like it. It is overbearingly sweet, even with no sugar at all (and I usually take a LOT of sugar!). Great flavor. This tea is especially fresh and of highest quality. Always a good cup, especially with the local honey. Starts my day off just right. Have ordered for years! Great! Love the aroma and taste compared to other brands that are too sharp. This was the first fruit infused one I every tried, buying one from China in China Town. I think it has the most exotic flavor of all of them. It's a very good blend. This tea is exactly what I wanted it to be. It makes my morning so much easier to deal with. Full bodied black tea with a wonderful lychee aroma. Although this is described as a fruit tea, I find the lychee flavor subtle and just enough to enhance the flavor without overwhelming it. It is a wonderful flavor--a bit exotic. One of the most exotic of the flavored teas. This tea has similar scent to the equivalent Chinese tea but lacks some flavor. Overall a decent tea. We discovered lichee black tea on a trip to China a couple of years ago. My husband no longer adds any sweetener to his tea which has helped with his blood sugar levels. And this tea tastes great. I love it too. Like this lichee tea very much! The product is fresh and packeged well. Very easy to use. very fragrant with a smooth taste. True lichee flavor that lingers on the palate, but does not overpower. A nice sweetness. I was introduced to lichee tea on a recent trip to China. I brought some home with me and have been very frugal with it, trying to make it last. This Lizhi Hongcha is nearly identical to the tea I fell in love with on that trip. The light sweetness and fragrance of the lichee makes this tea one of my favorite treats.